Christine Klement was a recent art school graduate working as a veterinary technician. She frequented Philly’s Fabric Row for artistic expression, but soon realized her apartment was losing a battle against yards and yards of unused vintage fabric. Surrounded by handsewn pillows and apartment decor, she sat with a swatch of teal fabric in hand, looking at her dog, a black shepherd mix named Clio, and wondered what else she could make. 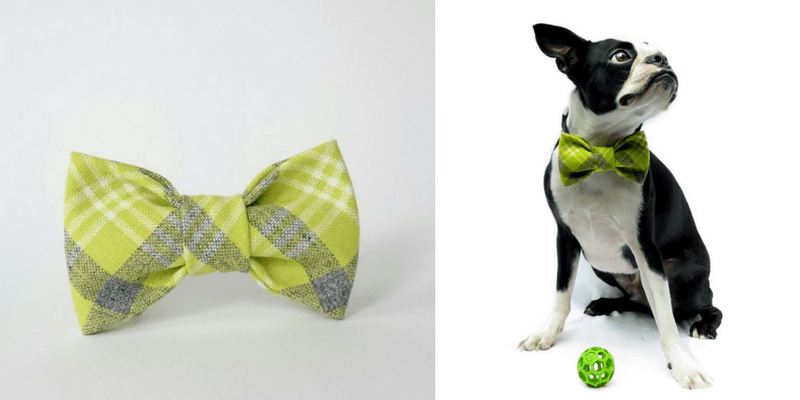 The idea hit her—bow ties for pets! 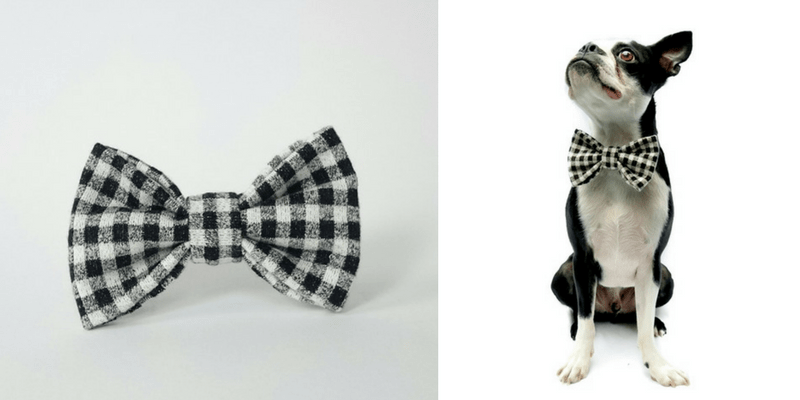 Now, years later, Christine spends her days in her Fishtown studio making Adornables accessories, including bow ties and bandanas, for her online shop and Philadelphia pet stores. “With Adornables, I get the chance to see the joy pets bring to their owners. It’s daily that I have dogs in my life, even if I don’t have one,” she said. Christine doesn’t currently have a dog. Instead, she shares in the joy and excitement of other pet owners when they chance upon her ties and bandanas. These moments happen often in her stall at a craft fair, while dropping off her items at a pet store, or through a tag in a photo on Instagram. There, she listens as owners tell her all about their pets—their nicknames, favorite toys, and all of the other things that make them so special. Like every pet, each of Christine’s items is unique. She selects thick, high quality fabric from unique sources and uses the same sewing techniques used to sew human bow ties so they maintain their structure and shape. She describes her fabric patterns, including plaids, preppy prints, and textured solids, as designer but accessible. “When people see me at an event, I want them to be able to bring home something for their pet. They might have to decide between a drink at the bar and my bow tie, but not much more than that,” she said. 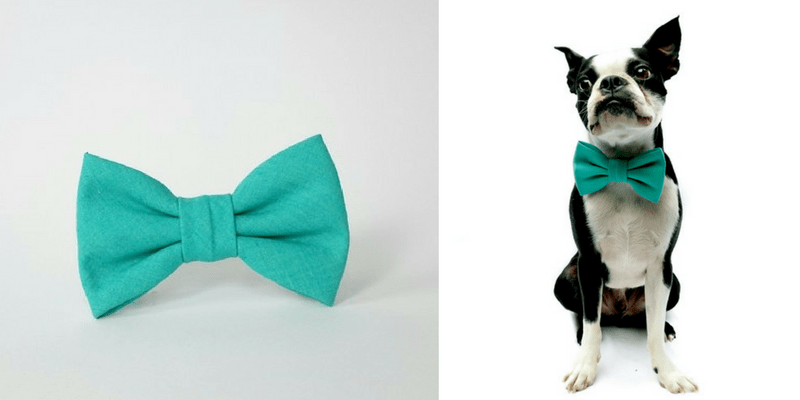 She sews two elastic bands on the back of each bow tie so owners can slide a collar through for security. Unlike a button closure, elastic ensures that the tie stays tight and doesn’t droop. Fashion forward! Dipper donning his dapper Adornables bow tie! Back of bow tie detail, too. It doesn’t droop at all, a chronic problem for us with other ties! Christine, who has a fish and a snail, likes to make it clear that her business is for more than just dogs. And while her tank-bound pets aren’t expecting bow ties anytime soon, she says every other pet should. Adornables have adorned dogs, cats, and pot bellied pigs alike. “A lot of owners have said, ‘Well, my pet doesn’t wear a collar.’ That’s where the bandanas came in. I’m always looking for other ways to listen to customer requests. I’ve demoed some collars, too, but I’m tweaking those a bit,” she said. While she didn’t study sewing in school, she integrated it wherever she could in her projects. 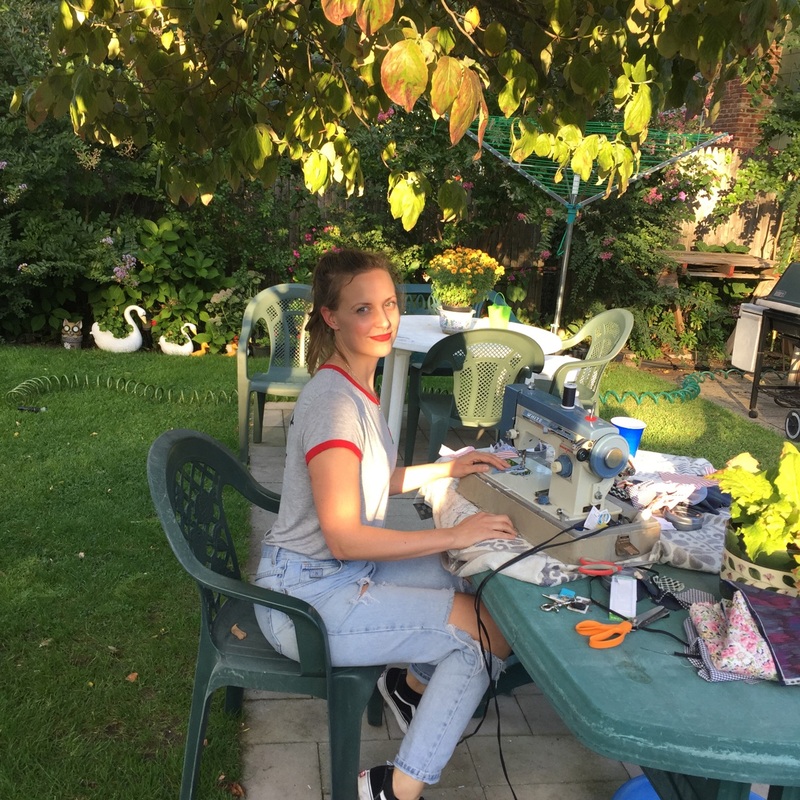 She’s used the same trusty sewing machine for over 10 years after she first bought it at a yard sale in college. She takes it with her everywhere—even when she visits her parents in New York. After growing up in the suburbs of Long Island and attending college in upstate New York, Christine has found her home in Philadelphia. She joined a group of her friends who were looking for a place to start their lives full of music, food, and culture—they chose Philly, and Christine hasn’t looked back since. Nor has she at all regretted a life full of animals. “I have two brothers and a sister. We didn’t grow up with pets, and when we all moved out, all of us almost immediately got our own dogs,” she said. Christine and two of her siblings have worked at veterinary hospitals, too. 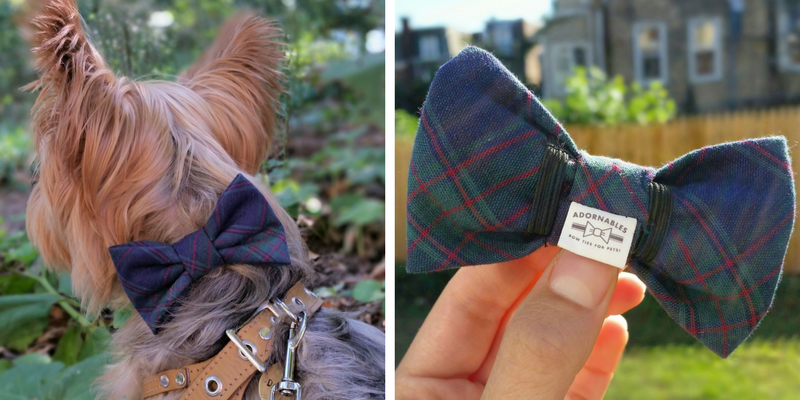 She worked at Companion Pet Hospital when she made her first bow tie, and it was there that her friends and colleagues encouraged her to continue making more. Christine and her Adornables bow ties and bandanas will be at several fall and winter craft shows and bazaars in the coming months, including Crafty Balboa and the Art Star Holiday Market. Can’t wait? Find her items in pet stores across Philly including BONeJOUR Pet Supply, ham+bone, and the Pet Snobs Boutique. The bow ties look well constructed. I wonder if they are suitable for children. Well, they do attach with a collar. Aside from that, I’m sure no one would ever know the difference. We love ours!